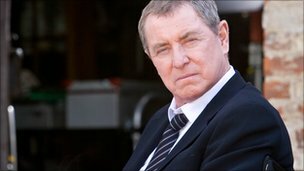 When John Nettles gave his final performance as DCI Tom Barnaby in ITV’s long-running crime drama Midsomer Murders last month more than 7 million viewers tuned in. It was his last case in the fictional blood-soaked county. I was not among the audience. From the off – perhaps right back at the start of the TV adaption of Caroline Graham’s murder mysteries in 1997 – some 251 corpses ago – I must have determined that the vanilla Englishness of the show was not to my taste. Today Midsomer Murder’s producer Brian True-May finds himself suspended for honestly analysing what proved to be the success of the series. He told the Radio Times that as the “last bastion of Englishness” the show doesn’t feature ethnic minorities. Why? “Because it wouldn't be the English village with them. It just wouldn't work." ITV, proud enough to have the show in its schedules for 14 years, surrendered without a fight to the politically correct brigade and declared itself “shocked and appalled” by True-May’s comments. Believe me there are many actual English rural locations a lot larger than a Midsomer village where not only black faces are absent but you won’t find a kosher butcher or a gay bar. Their young people can’t wait to escape. Boredom drives their parents to the 3As – alcoholism, adultery, and amateur dramatics. To introduce an element of multiculturalism into Midsomer Murders would be good news for unemployed black actors but the tokenism would be an insult to their communities. Re-instate True-May – from now on he won’t tell you the colour of a zebra without consulting a lawyer.